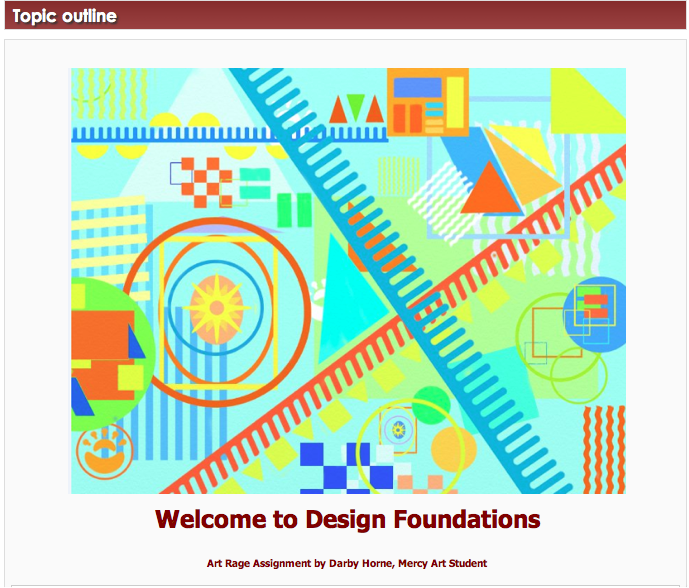 The course will expose students to both traditional fine art and computer art techniques. Students will learn the basic elements of art (color, texture, form, value, line, shape, space) and the principles of design (balance, contrast, emphasis, unity, pattern, rhythm and movement). The students will gain their digital experiences in our brand new iMac lab using professional grade Apple and Adobe software. Their digital experiences will include . . . .
formats, montage and layer options). Not only will students acquire skills they will find useful in high school and beyond, but the course allows for all sorts of opportunities to build an exceptional design and multimedia curriculum. Stay tuned!